Every writers dream is to make it. We want to put a book out there and instantly be recognized for it, don’t we? We would love to be picked up by an agent and a publishing company and make it big. Don’t get me wrong, because I do to, but why are others chosen and not us? (For the record, I love being a self published author and I don’t plan on changing that soon). Why are we putting in hours each day while the companies are just passing us over? Are there things we could be doing differently? And how do we make ourselves better? One big thing that I notice about people is that they procrastinate. The writing won’t happen all on its own, for sure! You have to sit and put pen to paper or type out everything that you want to happen. Being out of the house and away from your keyboard, typewriter, notebook, or anything else you might use doesn’t help. We come up with excuses when it’s time to write and I find that true even for myself. Before I started typing this up, I used the fact that How to Train Your Dragons 2 was on Netflix and it was something that I just had to watch instead of typing all of this up. We postpone writing until the next day and then the next and then possible even the next. If we want to make it and make it big, we have to write – there’s no way around it. We have to write when we said that we would write and all writers who achieved their dreams of making it big and being published did it that way. Most of the time, authors lack confidence in themselves and their writing. It’s something that holds us back, making our muse shy as well and refusing to talk to us. Many of us feel like we will fail if we pursue what we want. We’re scared of our ideas and writing them, thinking that they’re horrible. Because of this, I personally believe that there are thousands, if not millions of amazing story lines that we never get to see as we authors throw them away. Because of this, we must nurture our confidence because if we won’t, no one else will. Get someone to read your work and by someone, I don’t mean a trusted friend (although those will be somewhat helpful), keep away from those you think will say something that you would want to hear. Seek out people who will give honest opinions and take a step out of yo0ur comfort zone! The step that most authors take that can trap them is not stepping out of their comfort zone. When you sit down in the big leather chair that nearly engulfs you, the reason you don’t want to move is because you’re in a place you’re comfortable. You’re not out and about in a place that you’ve never been before. When I first started writing, I imagined that I would only write Fantasy, something that I had millions of ideas that stretched all over make-believe worlds that I created in my mind. I never thought that I would step outside that zone and write everything else but I have expanded and written things that I never thought I would have. STEP OUT OF YOUR COMFORT ZONE! Work on writing a genre you never thought you would write! Work on going places and doing things you never thought that you would do! Take chances, make mistakes, and don’t look back. We all hope that writing a book and putting it out there is enough. We hope to upload it on amazon.com and B&N.com and sitting back to watch it rack up the money and rise in ranks, but the truth is that doesn’t happen. I see people everyday who believe that writing and publishing books should only be for money or that is their main goal, but again, it shouldn’t be when they don’t try to reach for it. People wait for something that never comes. Because in truth, we can’t just sit there and wait. In today’s society, we need to reach for what we want, reach for it and fight for it, something many people in this community doesn’t realize. If we truly want to reach the dream, we have to fight. Make banners and post the links in different Facebook groups, online, and basically anywhere you can! WORK FOR IT and you will see results. The title might be a little misleading. This isn’t about having a plan where your book is going (though that might be helpful, but I never write with a plan). The plan is about doing things on your own. There are many experienced authors that have come before us that know more and are more experienced. While you’re here doing things on your own, there are many people who could be giving advice and could lead you onto a path that is somewhat hooked to their own. They could give you tips on writing, publishing, ideas, and so much more! 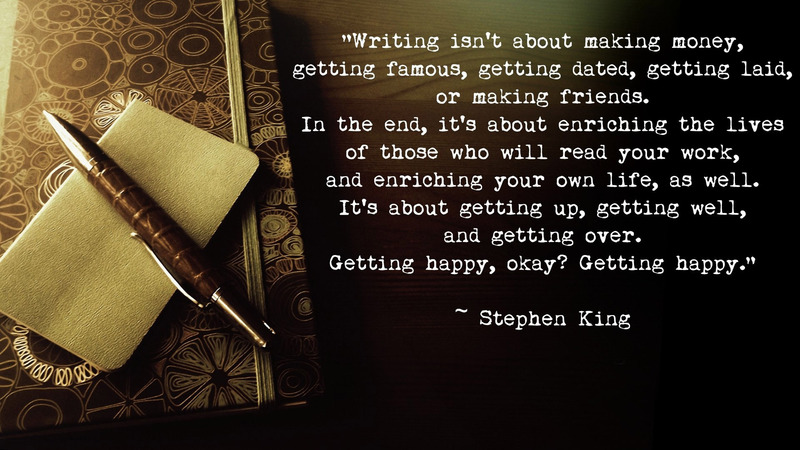 Seek out other authors and make friends. Ask for advice and see what kind of tips they can give you. You’re not alone in this journey. Some people don’t write on a daily basis, but instead wait until they are inspired. They wait until the inspiration strikes, thinking that they can’t write without it. By inspired, we mean being over emotional about something and writing down those feelings, putting them into a story that has nothing to do with us, but actually does as it’s just a retelling of something we’ve gone through. “I don’t feel inspired to write today.” And once again, the hours are wasted, the time is gone while we’ve waited in vain. Life gets in the way and we all know this. You’re working your day job, taking care of kids, babysitting, running errands, or some other thing that pulls you away. The main thing is that you make time whether it be late at night or early in the morning. We let our lives take over instead of reaching for a part of us – our dreams! We have 24 hours in a day, most of which we misuse. We sit and watch television or mess around on Facebook or some other social media, allowing ourselves to get even farther away from our writing goals. The even worse part is that we know that we’re doing it. We sit and think about writing, but we don’t open our laptops, our notepads, or start up our typewriters. We allow other things to take over and waste our precious time. Set aside time to write. Set a daily word goal – my goal is 1,000 words per day, but it doesn’t need to be that high. WRITE! We hate it. We hate being told no. We hate the fact that others don’t want us and believe that they are cruel to say no to our baby, our masterpiece. We sit and wallow for some time, thinking that there is no hope and we may as well give up, but instead, we need to face the fact that it’s a part of our job and we need to prepare for it. Whether it be from friends, family, an agent, a publisher or ourselves, we need to accept it, shrug it off, and continue pushing on. We don’t become authors by quitting and we don’t quit because of rejection. Many might think that talent alone is all they need and they’re set. They write and put it out there and the fact that some people love it or it’s a good story line is all that matters, but is it really? Is that all it takes? If so, why are there not more bestselling authors or why are some people higher on the list than your favorite book that you think is just amazing and perfect and yeah. We can’t rely on talent alone. Instead, we have to put ourselves out there for our readers and get to know many of them. We have to get to know many authors, publishers, agents and everything else that comes with being involved. DON’T RELY ON TALENT ALONE! Take a stretch and let people get to know you. Put yourself and your work out there for people and see what they have to say. Don’t be an author who stands alone against the wall of a party. I learned that the hard way that you don’t get out there that way. The limit does not exist. Truly, it doesn’t. I know a lot of people that think traditional publishing is the only way to go, but that’s again, not true. There are many amazing, self published authors that started exactly like you, sitting and wondering if their stories were ever good enough. Did they limit themselves? No. Your dreams are you! Reach for them! You remember growing up and having your parents tell you that you can do anything and be whatever you want? It applies here as well! As stated before, there are many people who write for money and I should tell you that if you’re one of those people, stop writing. Don’t do it just for that. Money isn’t everything and when you make your writing all about money, you lose the joy in it. You lose the fun, the laughter, and trust me when I say that it shows in your writing. This could be one reason why we never make it. I will admit that I do take my writing seriously, but also as a hobby. It’s something that let’s us by yet still giving ourselves something that we love to do without taking the pleasure away from it. We do it for more than one reason though writing seriously is something that we always should do. If we cannot take our own writing seriously, who else will? With everything above, I’m not promising that you’re a shoe in for the NYT Bestseller list, but it’s definitely a start. I am sure that there is something amazing and not so amazing about everyone’s pieces, but don’t let it stop you! No matter what, write for yourself and reach for the stars.